Loved it. Picked up when she met the dwarves. They really added to the movie. I did not like the ending unless there’s a sequel. This absolutely is a splendid beautiful tale with the great flavour of Spain through and through. I love this movie from my heart. 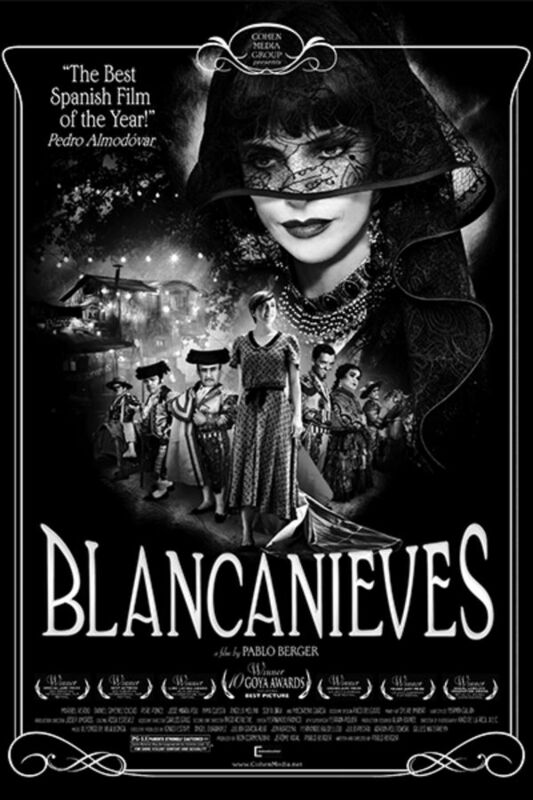 During the days after watching scenes, I lived them again, in the exquisite black and white and the insatiable passion of Spain in some of it's best folk lore. This is a love story, but in ways I never imagined I would be so aware of. Many love stories all in one. I loved it! I wasn't sure what I was getting into but I loved the silent movie style, its visually stunning with funny bits and tender bits and even a few sad bits. I would recommend it to someone who enjoys a revised, slightly off color fairytale in an old world style. give it a watch!